Total Built Up area is 90,000 Sq.Ft. 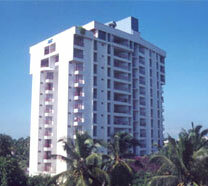 13 Storied Luxury Apartment in 80 cent plot. Completed in 19 months time.